Builders and designers are under increasing pressure to find new and innovative ways to incorporate green building practices, reduce energy consumption, and meet our culture’s demand for a greener world. And green construction is booming. According to Navigant Research, the global market for green building materials is expected to top $254 billion by 2020. But before you make the decision to build green, you need to be aware of the potential financial risks. After all, those risks will be with you from the time you decide to build green to well after the project is done. Once you decide to go green, you can generally count on an additional 3 to 5 percent in building costs, so you’re already risking more before you even get started. Then comes the contract. Are you shooting for a certain level of green certification? A specific level of energy savings? Be sure you know what the consequences are if those performance objectives aren’t achieved, such as losing tax credits or other financial incentives. Once the project is underway, there’s always a risk that certain green building materials called for in the contract could become unavailable for some reason. That would force you to scramble for substitutions that could easily delay the project and drive up costs. Then there’s the multitude of federal, state and local rules and regulations for meeting green building standards, which are continuously evolving and only add to your potential liabilities. On top of these risks, don’t forget the potential financial risks associated with the U.S. Green Building Council's Leadership in Energy and Environmental Design (LEED) program. One big problem? Owners have no way of knowing if a building will qualify for LEED certification until the project is done. If your financing is based on that certification and you don’t get it, you’re looking at even more financial troubles. If your project is a commercial building, there’s another potential risk to consider. If the building is intended for tenants who specifically want to rent in a LEED-certified building, and the building ends up not achieving that certification, you could lose tenants – and lose money. Even if you achieve LEED certification, there’s no guarantee that the building’s energy systems will continue to operate as efficiently in the future as they did when originally installed. In fact, it’s possible for a building to achieve LEED certification without actually being any more energy efficient. Architects, engineers, and other consultants and advisors on the project can potentially make guarantees that aren’t covered under their professional liability policies. If something goes south, that could leave the building owner holding the bag on any unmet promises. So make sure everyone on the project is fully qualified and insured. Also keep in mind that green construction sometimes involves the use of new, untested materials and procedures. So long after work has been completed, there’s always a concern about the building living up to promised expectations. And if it doesn’t, that can lead to even more problems such as costly legal battles, regulatory noncompliance, and damage to your reputation. 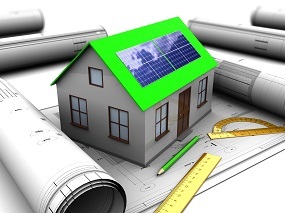 Green construction comes with its own maze of hazards that can impact your financial, regulatory, and legal well-being. With more than 150 years of experience in New York construction insurance, BNC Insurance and Risk Advisors can help you eliminate the uncertainties and make sure “going green” doesn’t put your bottom line in the red.